Hey kids! Today is kind of special to me. Tonight at 7:00 pm Eastern Time, I’m going to do my first live streaming test of the idea that has been nudging me, and tickling me and NAGGING at me for something like 4 years! My purpose is clear to me: I am here on this earth to make a positive difference in the world through my words and music. My songs have supported my “process” of healing in my immediate world, my own personal life. These powerful, practical tools and techniques for running your own neurology that you can put into practice IMMEDIATELY and experience real life RESULTS. That sounds a lot like HONEST HYPNOSIS doesn’t it? For you to benefit, these songs and ideas need to be shared. They need to be heard by other ears than mine, sung by other voices than mine. These ideas put into practice in lives beyond mine. I long for my songs to touch you, to support your healing and self discovery process. I intend to do everything within my power to assist you in transforming YOUR world. I envision my work touching and inspiring YOU. And Together, We Can Change The World. Starting tonight! You and I connecting and combining our energy and vision to make the larger community a better place for all of us (and not just humans). 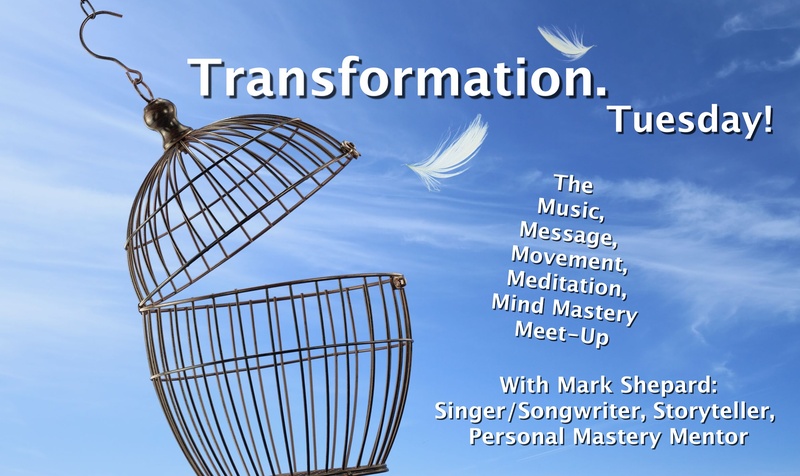 If you’ve been reading these emails/blog posts, You’ve been experiencing a little bit of my process of combining my skills, talents, abilities and interests here on the Honest Hypnosis Daily Mind Mastery and Transformation Tune Blog. Tonight we turn it up a notch. I want to invite you to join us. It may not go totally smoothly. There may be some technical learning curves to work out and that’s perfect. I invite you to participate. I invite you to watch from a safe distance. I invite you to jump right in and join me on this journey of transformation that will have a local and international reach. I’ll see you at 7 pm tonight! p.p.s. Just in case you can’t make it tonight or need some inspiration right now, I want to share this email I got from my friend Paula who found one of my “Transformation Tunes” helpful. Ironically it was one that I wrote a year ago, recorded on video… and then kind of FORGOT! As I had mentioned, this song helped me SO MUCH! I was in a complete downward spiral, pretty near rock bottom. And this song propelled me like a rocket, up to the 1000th floor of the good-feelings building.